This post office building divides into two elongated parts each with a rounded end: a narrow part for offices and a broad one for handling post. This arrives by rail or road and is then brought to the third floor by a continuous lift system for sorting. The building has a concrete structure, with piers along the facade and a row of columns in the central zone. 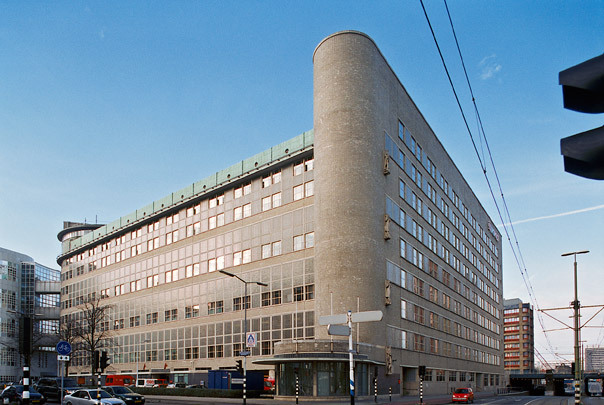 The large sorting office (30 x 90 m.) at the top is column-free. Elevations are of glazed brick punctured with small windows.